1947: Within days of the first flying saucer sightings, hoaxers, hucksters - even capitalists rushed to cash in. 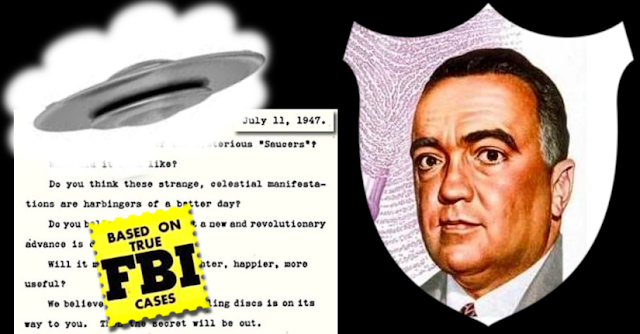 Has anyone filed a title registration with the MPAA like "The Flying Saucer?" 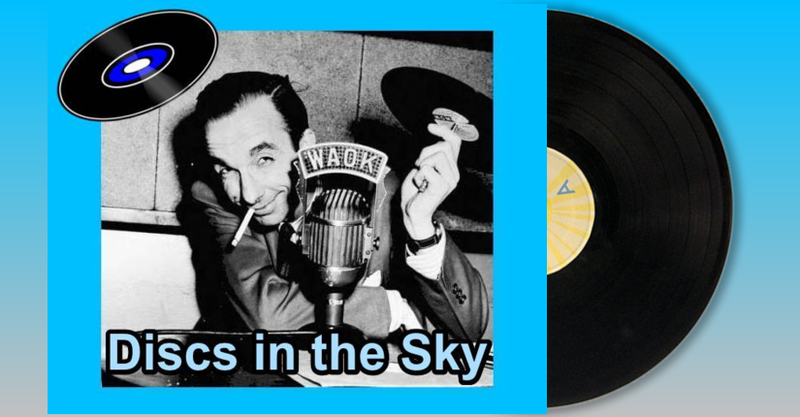 ...... Or "Discs in the Sky?" 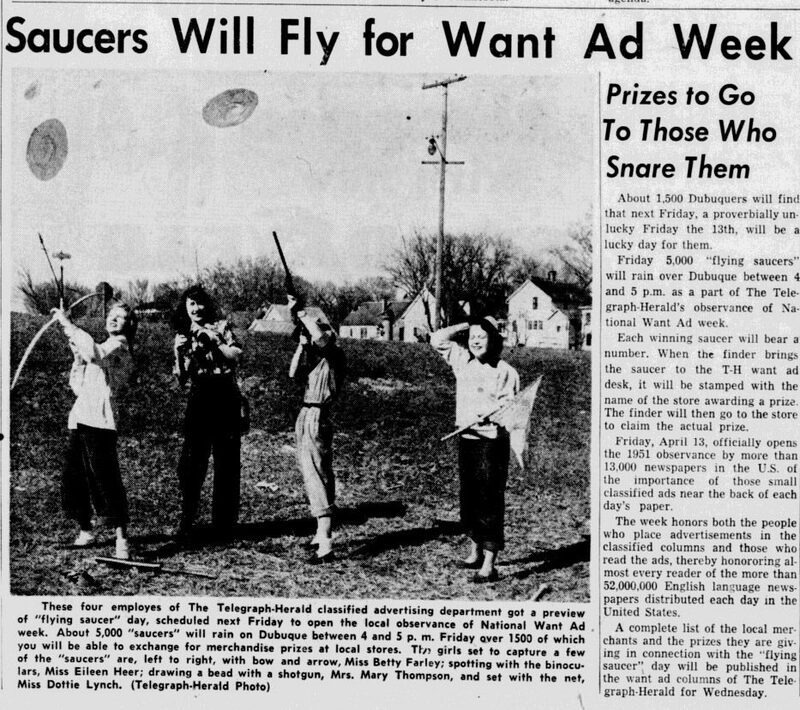 Across the USA, flying saucers were becoming big business, at least as an advertising gimmick. 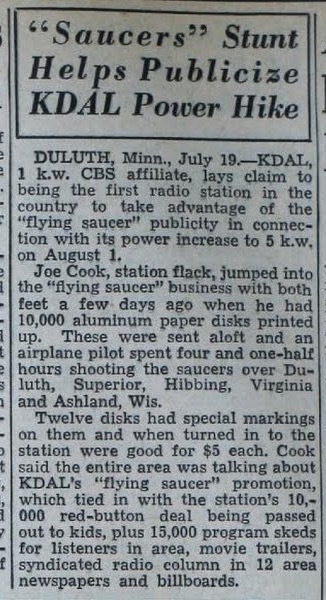 Radio station saucer drops continued as an advertising stunt throughout the 1940s into the 1950s. 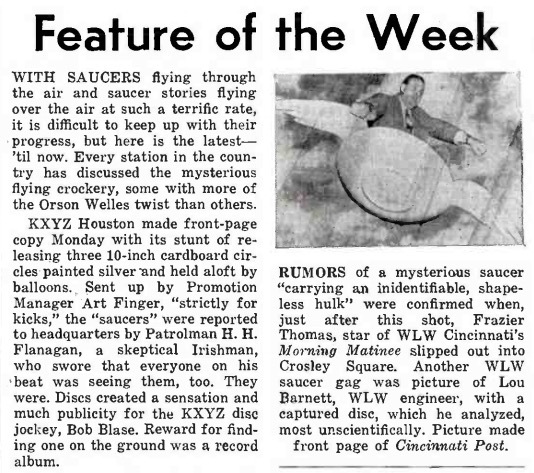 NEW angle on promotional possibilities of flying saucers hit upon by Lowell Smith, time salesman for KFXM San Bernardino, Calif. Mr. Smith has sold half-hour interview with pilot of any flying saucer to come down in a two-county area of station's coverage. 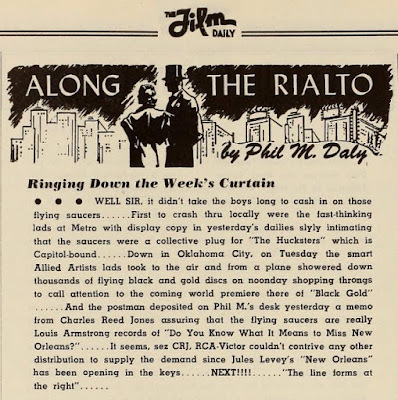 Show, if and when it is aired, will take top-priority over any program on air, with Newsmen Jim O’Leary and Dave Hubbard set to parachute tape recorder and portable radio into position to "contact and interview occupant or occupants of any flying saucer" within area. Wilson & Fields, San Bernardino furniture and appliance firm will sponsor the show. There were no takers, but we have to wonder if Professor George Adamski of Mt. 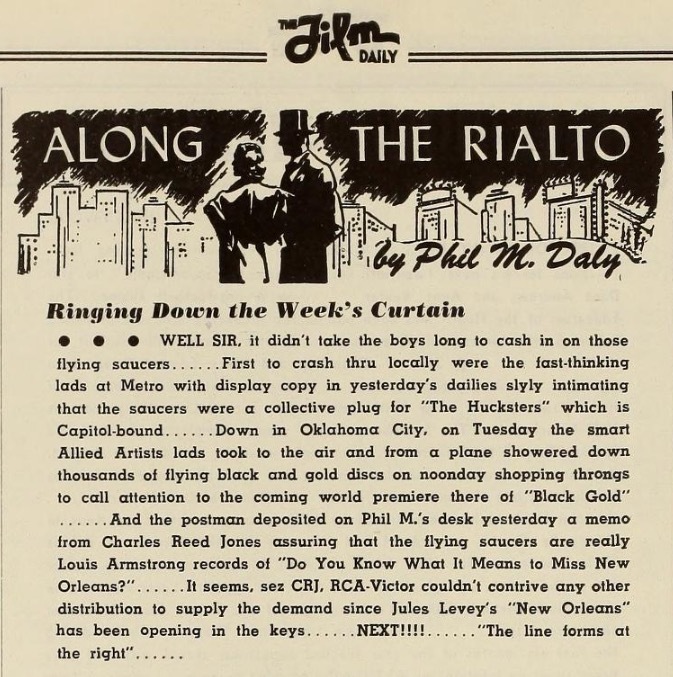 Palomar, CA, might have been listening.